A countrywide call for a ‘gram bandh’ between June 1 and 10 is set to be centred on Mandsaur district of the state. A year after a massive farmers’ agitation roiled western Madhya Pradesh with six people getting killed in police firing in Mandsaur, the Shivraj Singh Chouhan government is bracing for a fresh stir. It could be all the more challenging for the Bharatiya Janata Party government to handle, as assembly elections are due this year. A countrywide call for “Gram Bandh” (village shutdown) between June 1 and 10 is set to be centred on Mandsaur district of the state, the epicentre of last year’s agitation. Loan waiver and higher prices for farm produce are the main demands of agitators, represented by the Rashtriya Kisan Mahasangh, a federation of farmers’ bodies. June 6 will be observed as “Vishwas-ghat Diwas” (Day of Betrayal) in memory of the farmers who lost their lives in police firing in Mandsaur on this day last year. The Mahasangh claims to have the support of 170 farmers’ organisations across the country. Chief Minister Chouhan “manipulated” last year’s protest, Sharma alleged. 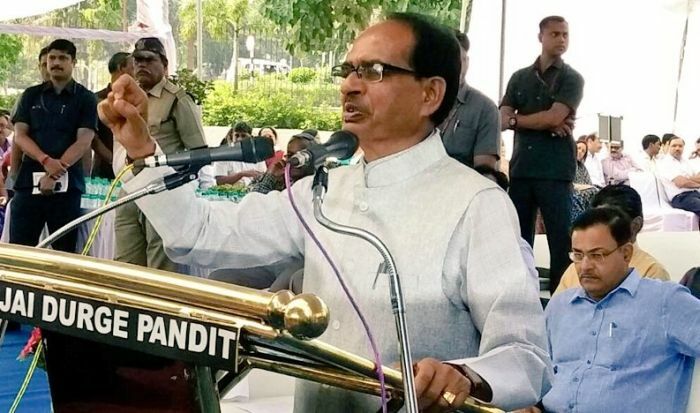 “Chouhan held a meeting with BJP’s favourite farmers’ organisations at Ujjain on June 5 and announced that the agitation had been called off. But six farmers were killed in firing the next day. The CM cheated the farmers. So we are observing a 'Vishwas-ghat Diwas’ on June 6,” he said. Between June 1 to 10, farmers would ‘take holiday’ by staying put in villages and stopping the supply of milk, food grains and vegetables to the cities, he said. The Mahasangh is demanding that farmers be freed of debt, should get one-and-a-half times profit on produce as promised by the BJP, and a steady income. Kedar Sirohi, another farmer leader, alleged, “The Madhya Pradesh government has adopted PPT (Powerpoint Presentation) system. Through PPT, government tom-toms about its so-called achievements in the farm sector with a jugglery of data. “Over 800 farmers have committed suicide in the state since the Mandsaur incident,” he claimed. State BJP Kisan Morcha (BJP’s farmers wing) chief Ranvir Singh Rawat, however, said the new agitation will have no impact as farmers have benefited due to government schemes. “Some people are instigating farmers for political benefits. We recently organised a 'Kisan Samman Yatra’ and apprised farmers of welfare schemes. We honoured farmers. We also went to Mandsaur,” Rawat said. “We have allayed all fears of farmers as the chief minister himself is holding farmers’ conventions across the state. Agricultural production has risen in MP,” he said. State Director General of Police Rishi Kumar Shukla said that police would be monitoring the situation. “We can’t stop agitations, it’s their right. Police will take decisions on the basis of local law and order situation,” he said when asked what steps will be taken to avoid another Mandsaur-like incident. Madhya Pradesh has won Krishi Karman Award of the Centre for five successive years for high agricultural growth. The state recorded 18 per cent agricultural growth in the last five years -- the highest in the country. However, it hasn’t translated into farmers’ contentment, as was evident from last year’s agitation. The agitation last year, mainly for debt waiver and better prices, began on June 1 and took a violent turn when six persons were killed in police firing in Mandsaur. A high-voltage drama was witnessed two days later when Congress leader Rahul Gandhi was detained on his way to meet the deceased farmers’ families.